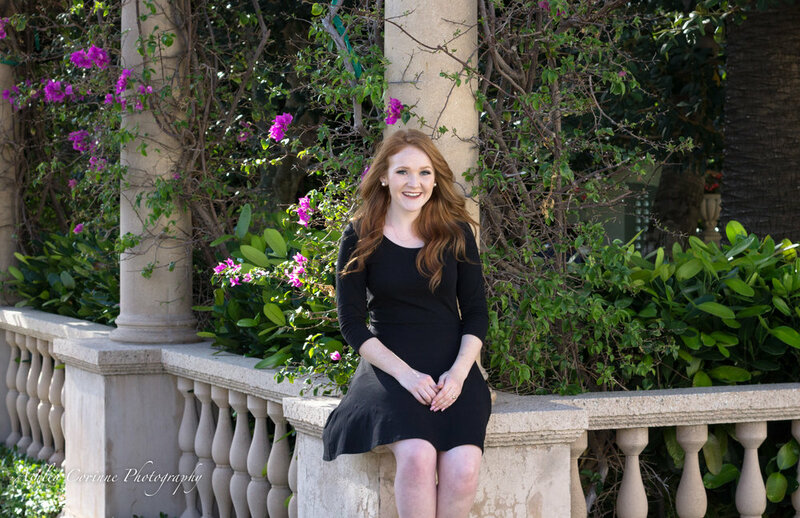 Mandy Henrichsen is a soprano studying voice under Marilyn Mims at Palm Beach Atlantic University. 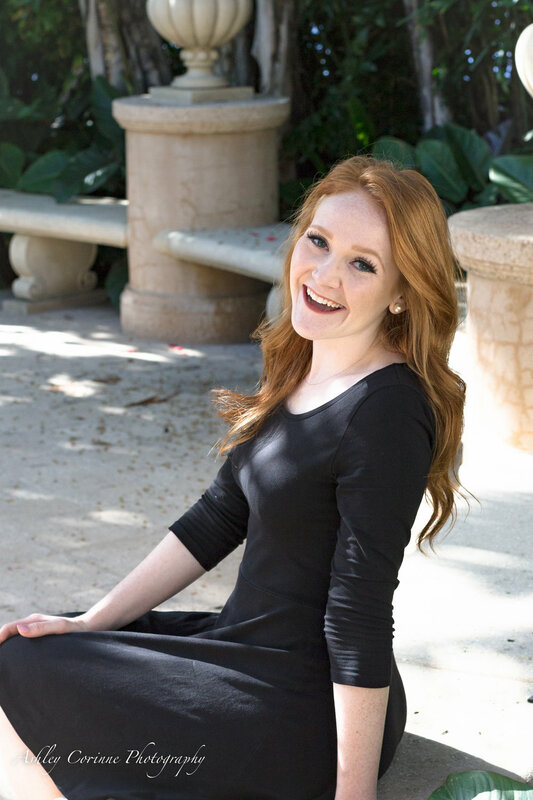 She is presenting her Junior Voice Recital at the Helen K. Persson Recital Hall on April 20th. We met during my time studying Music at Palm Beach Atlantic University and I'm so glad to have gotten to know her. It's been wonderful to hear her voice grow over the past 3 years! We met on Worth Avenue to take recital portraits and had a lovely time strolling past the high-end stores. I truly enjoy finding beautiful alcoves and gardens to explore. Some of my favorite portraits from this session were taken in a small garden area on South County Road, right next to their old Town Hall and Fire Station which has recently been remodeled. There is even a beautiful large fountain with horses emerging from the water and my favorite huge wooden doors. We opted for the lush Bougainvillea covered pillars surrounding the reflective garden area, and although I had to stand in the street to get the shot, it was definitely worth it. Inside the garden were fountains, amphora and hydria, and beautiful lush vines. I felt like we had escaped the busy world of writing papers and traffic jams and filing taxes and for a brief moment had found serenity. I think you can see that in Mandy's portraits, just a peaceful serenity and a hint of that depth and drama which makes a musician so powerful on the stage. The second main location we went to was in an alcove on Worth Avenue This is my favorite staircase, mainly because of the gorgeous light that somehow pours down from the spirals above, making it almost studio-like and a perfect place to model. 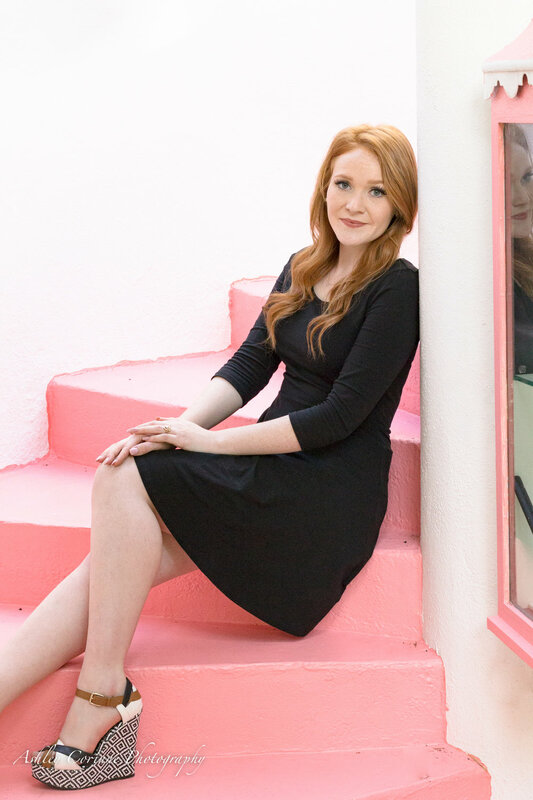 What I really loved about Mandy's portraits here was the way her bright red hair offset the soft pink staircase and her beautiful smile. We had a fabulous time, and wrapped up the session with a few headshots from my portable headshot studio. 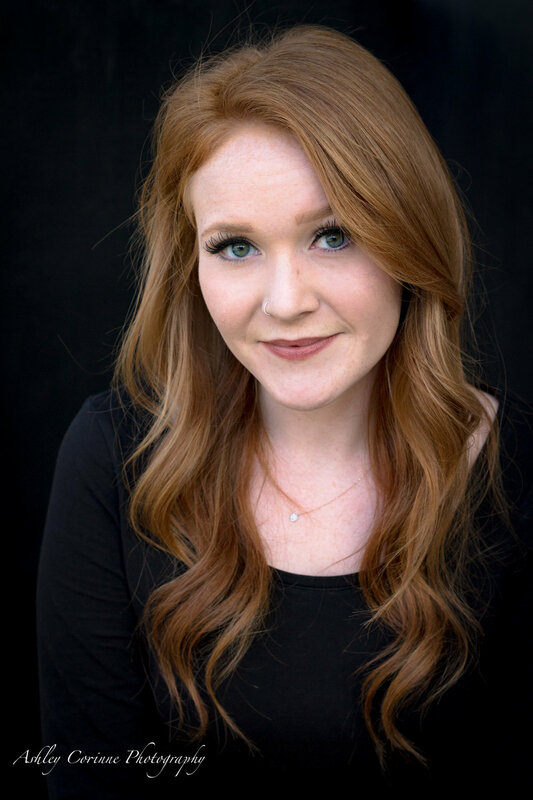 All I had to do was take it out of my car, boom-boom, 5 seconds later we had perfectly lit headshots she can use for auditions. I can't express enough what a lifesaver that portable studio has been! All of this we were able to fit in a simple 1 hour session, and I am so thrilled to finally be able to share them.